Hi, need a gift pattern? 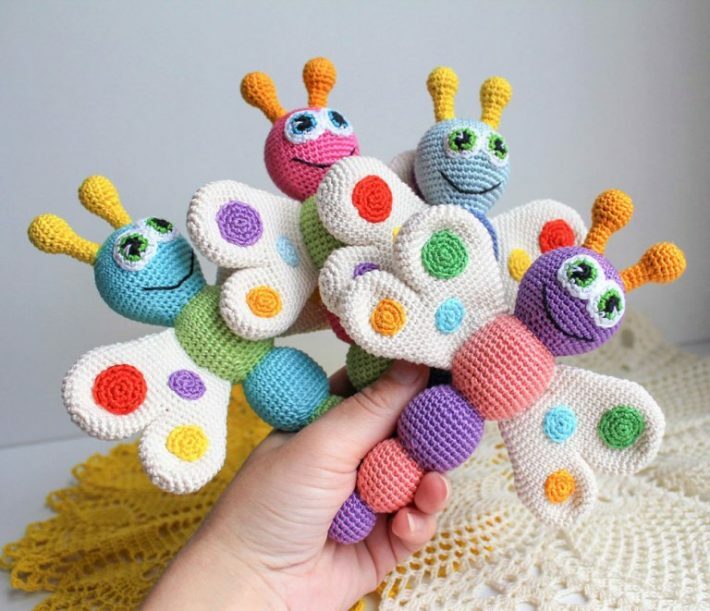 I think these crocheted butterflies are the perfect match for their role. In this post you will find step by step instructions how to make butterflies from photos. They are very colorful and friendly. Your child will be delighted. These are great toys. Are made of the finest materials. 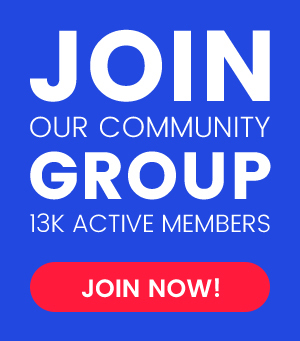 If you like crocheting such patterns this post is for you. This pattern is completely free. Download and enjoy it in your home. 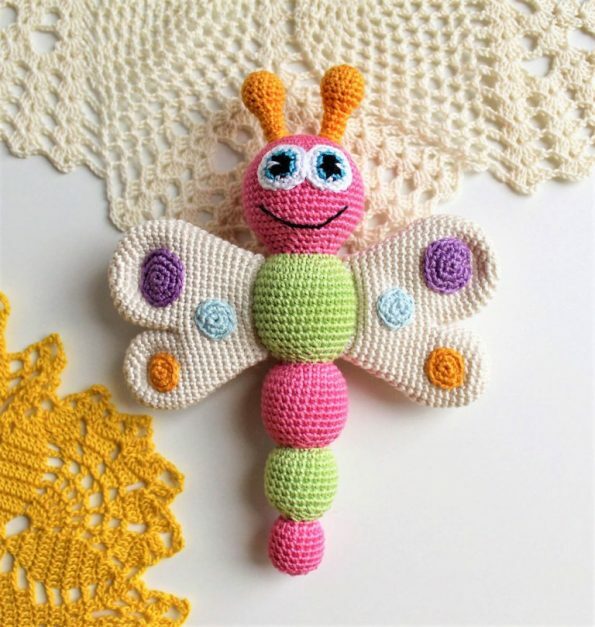 Download this Butterfly Baby Rattle Free Crochet Pattern here.